Craft: I am planning on using the magnetic lasso tool to cut out the shapes in the images shown above to arrange them in a fashion to suit the funeral theme that I am going for. I am going to start off by creating a first layer that has the barbie on the right shown only. To so this I will use the rectangle marquee tool to cut off the remaining two barbies. 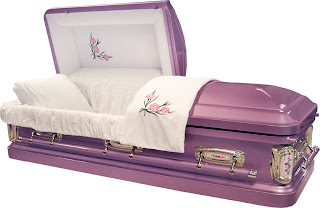 I will also use the pink casket and duplicate it so that I can use the magnetic lasso to cut away the inside of one of the caskets to give the effect that the barbie is actually inside it. The tombstone will have "Barbie Doll" placed on it using the text tool in photoshop, and the flowers will be left as is. Concept: The concept of this toy is to create a Barbie Doll accessories/play set that has not been yet created. It is to play into the idea that children shouldn't be confronting death at such a young age. 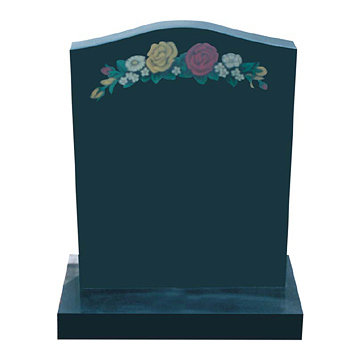 So this toy allows kids to set up a funeral scene in their room or what have you and play with each other in what should be a "sad" moment. So when playing with toys usually beings joy, this toy brings sorrow and grief. Composition:﻿ This photo when completed will be composed of one barbie doll who is positioned inside a casket. 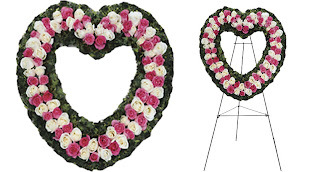 There will actually be two caskets to feed into the illusion or Barbie being inside the actual casket, and it will also consist of a floral arrangement and a tombstone that reads "Barbie Doll" as accessories to add to the funeral experience for the Barbi goers.